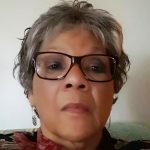 Sandra Pilgrim Lewis has been a social change advocate across multiple systems and geographical areas for forty years. She marched in the South speaking out against racial discrimination during the civil rights movement and started as a volunteer to end violence against women in the early 70’s. She has worked for social equality for disabled people with an emphasis on women with chronic mental illness. She is former director of Shelter, Inc., a comprehensive domestic violence and sexual assault program in Northeast Michigan.